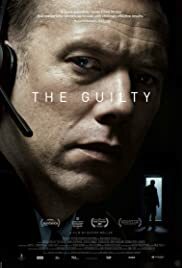 Director: Gustav MöllerWriters: Gustav Möller, Emil Nygaard AlbertsenStars: Jakob Cedergren, Jessica Dinnage, Omar ShargawiSummary: Alarm dispatcher Asger Holm answers an emergency call from a kidnapped woman. When the call is suddenly disconnected, the search for the woman and her kidnapper begins. With the phone as his only tool, Asger enters a race against time to save the endangered woman. But soon he realizes that he is dealing with a crime that is far bigger than he first thought.